Measure everything with your phone! 📦 What size is your furniture? 🙆‍ How tall someone is? 🏠 How much space you have? 🚪 Will you new desk fit through the door? 🛌 Does the new bed fit your room? ✨ and a lot more! *Requires an A9 processor or heigher. **Requires an ARCore compatible device. 🏁 A distinctive surface. Avoid single color walls or floors. 💡 Enough light. Avoid dark rooms. The FREE PLANE mode is used to measure between any points in space. • Works best when there are multiple yellow dots on screen. • It is better to measure from a close distance (20 - 40 cm), rather than from far away. The HORIZONTAL PLANE mode is used to measure space on the floor, on your desk/table or the ground. • Make sure you scanned enough to detect the flat surface. • This is best used to check space on the floor, for a new furniture item. The VERTICAL PLANE mode is used to measure the height of objects or people. • Only start from the bottom and go to the top. • Start point will be on a flat detected plane, like the floor. • Cannot start at the middle of the wall, for example. 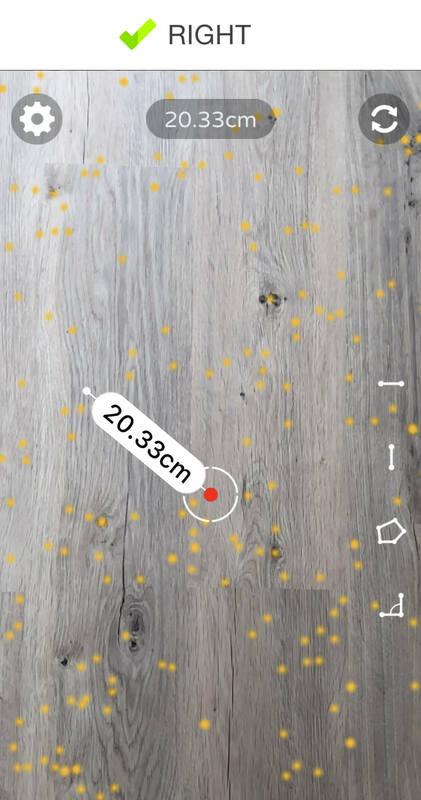 After measuring, always check that the app measured what you wanted to measure. Move with the device in a different position, pointing at the segment. If it stays put, your measurement is good. If it is actually floating in space somewhere else, try again, getting closer to the objects. We are excited to see what you think about it so, good or bad, give it to us straight. With your help we can make it better. 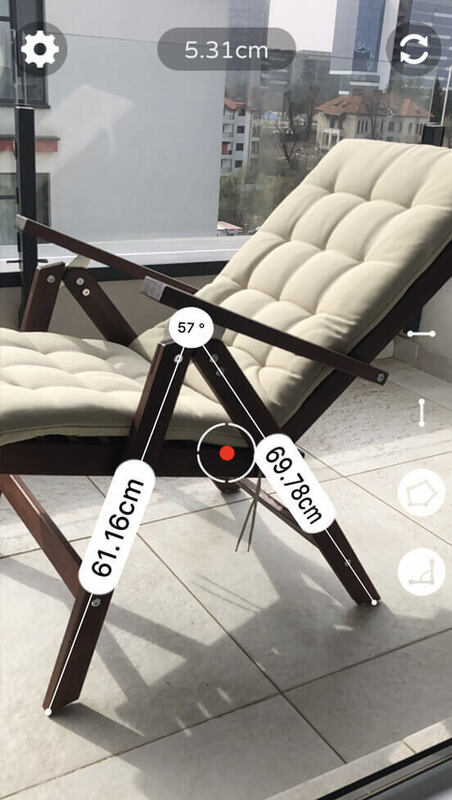 Measure Tools is an app designed for devices with an A9 processor or newer, running iOS 11 or newer. 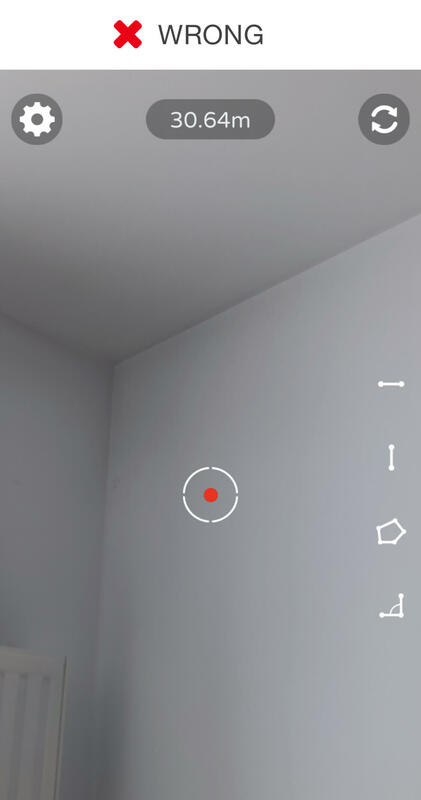 It uses Augmented Reality to analyze the environment and provide measurements. App was fully developed by Craftars.com. We are an app development studio specialized in augmented reality experiences.